The Underdogs tells the story of Karen Shirk: felled at age 24 by a neuromuscular disease and facing life as a ventilator-dependent patient, she was rejected by every service dog agency in the country as “too disabled.” Her nurse encouraged her to raise her own service dog, and Ben, a German shepherd revived her. A thousand dogs later, Karen Shirk's service dog academy, 4 Paws for Ability, is restoring hurting children and their families to life. 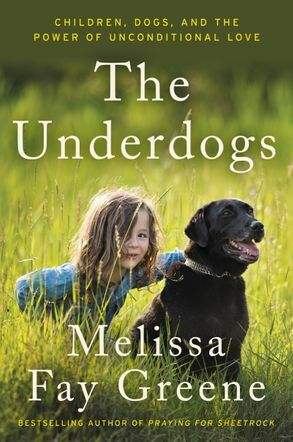 Melissa Fay Greene tells the stories of children with disabilities, their struggling parents, and their marvelous dogs. Into these modern wonder tales, she weaves the latest scientific discoveries about the inner lives of dogs. The frontiers of the human/dog bond are explored here with insight, compassion, humor, and joy.